Thank you so much for reading the passage. HOT BEAR-Jingle Bells. Jingle Bells are the perfect addition to all of your seasonal decorations: wall hangings; ornaments; wreaths and much more. 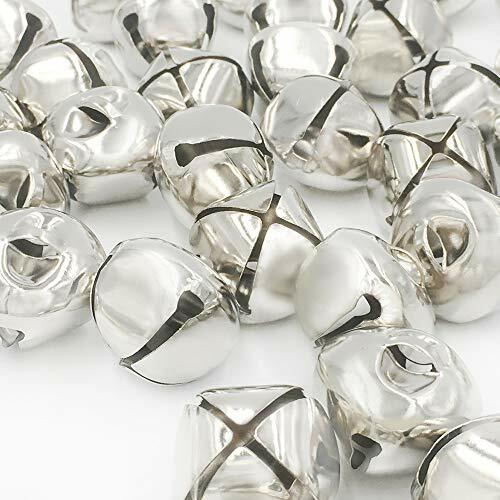 The package contains 100, 1 inch silver bells. And I hope the product will satisfies your needs. If you have any suggestion or any complaining on the product, please let us know at your convenience, sincerely. If you have any questions about this product by Cllootve, contact us by completing and submitting the form below. If you are looking for a specif part number, please include it with your message.